Starting today, Beautycounter is offering 15% off sitewide & free shipping on orders over $50 for Black Friday. This is one of the best sales of the year, so now is the time stock up on any favorites, try something new and shop for gifts. They offer free returns within 60 days if a product doesn't work out for you. As a consultant, I'm happy to answer any questions or help with an order. 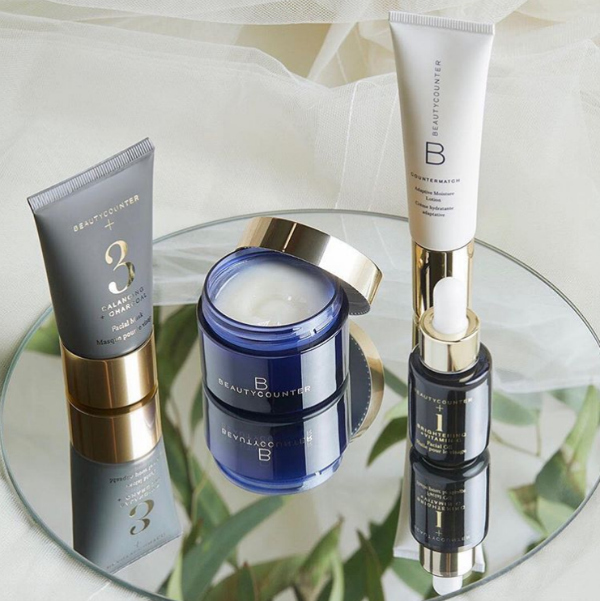 Beautycounter's mission is to offer safe skincare and beauty products for the entire family - all of the ingredients are vetted for safety. The company is continuously advocating for awareness and laws in the US beauty industry (for comparison, the EU bans 1,400 ingredients). Below are my tried and true favorites. I have been an on again off again consultant and these products keep bringing me back! Nourishing Cream Cleanser / Nourishing Cream Exfoliator - I love both of these cleansers equally! They are my favorite products and why I keep coming back to Beautycounter. Cleansing Balm - I didn't understand the hype of this product until recently... my skin was unusually dry (pregnancy?) and I found this balm to be incredibly hydrating and leaving my skin soft. No. 1 Brightening Facial Oil - The first oil I ever tried and I keep coming back to it. Like the balm, it's a best seller. I put on over my moisturizer at night. Countermatch Adaptive Moisture Lotion - My day moisturizer... lightweight but effective. Countermatch Recovery Sleeping Cream - My night moisturizer... I go back and forth between their night creams but this is my current favorite! Lip Gloss - Peony is one of my everyday shades. Baby Soothing Oil - I have used this on both Lexi and Chase in place of a lotion as newborns and given to many moms-to-be. I used to love to receive and give sets... but then I realized my money was generally better spent on individual products. So many things went unused. I promise that is not the case with this set... it includes all of my favorites plus a mask (one of my favorite little luxuries to give). Oh, and the boxes are great you just need to tie a ribbon! This is great news ! Im going to head to your website and start filling up my cart. 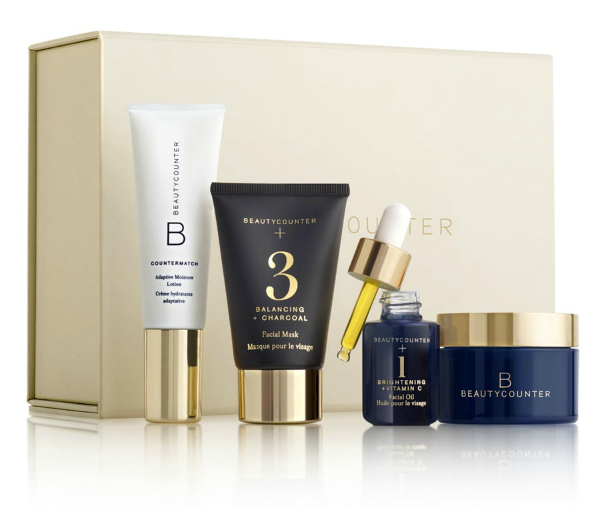 I have a few Beautycounter products and they are truly amazing !